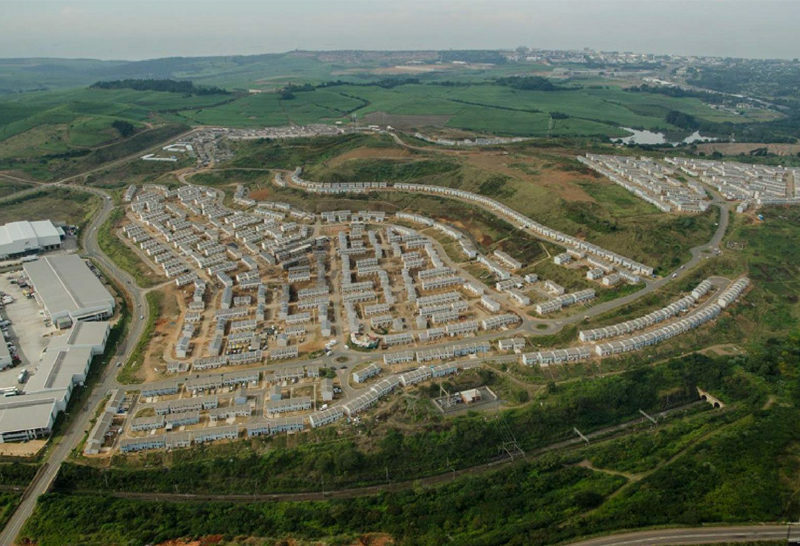 Durban, 27 March 2017 : As construction continues apace on the Cornubia Integrated Human Settlement development which is implemented in a phased manner across the 1,300Ha site bordered by Umhlanga Ridge Town Centre to the East, Mount Edgecombe to the South, Phoenix to the West and Verulam/Ottawa to the North, Tongaat Hulett looks at the infrastructure requirements for the phases located within the South-east-quadrant of the development. 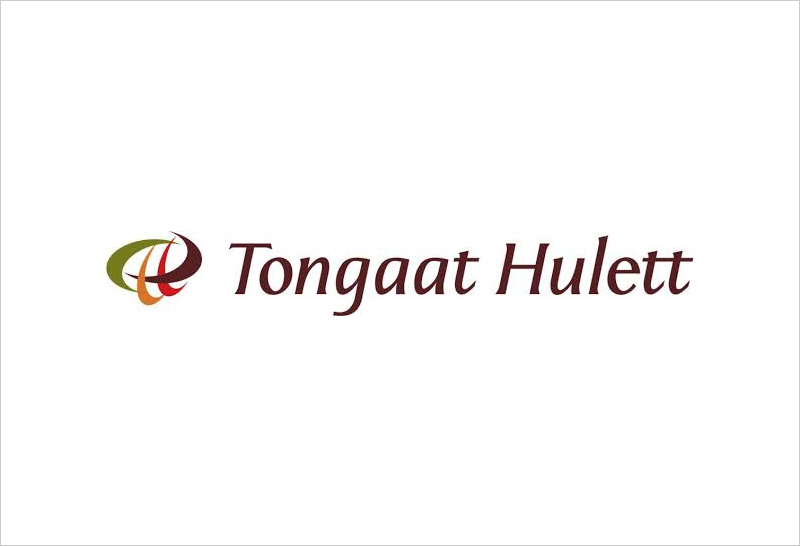 “With key attractions such as the Cornubia Regional Shopping Centre scheduled to open at the end of September, MMI Cornubia contact centre opening in May, and over 1,600 residents having settled/taken occupation, it is necessary to improve access into the development,” says Mtura Matshini, Development Executive of Tongaat Hulett Developments. 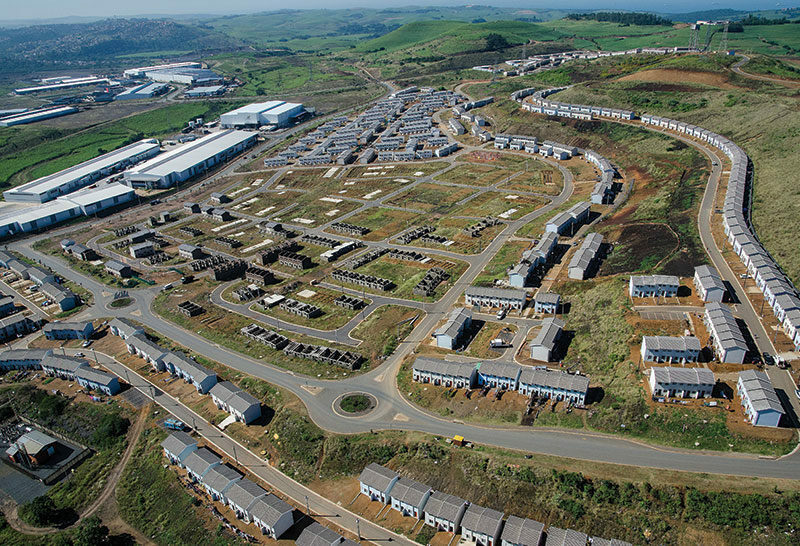 As the existing road infrastructure in the immediate vicinity of the development is already operating at capacity, it became necessary to upgrade this infrastructure not only to alleviate the congestion on the existing intersections but to accommodate long term development generated traffic volumes. 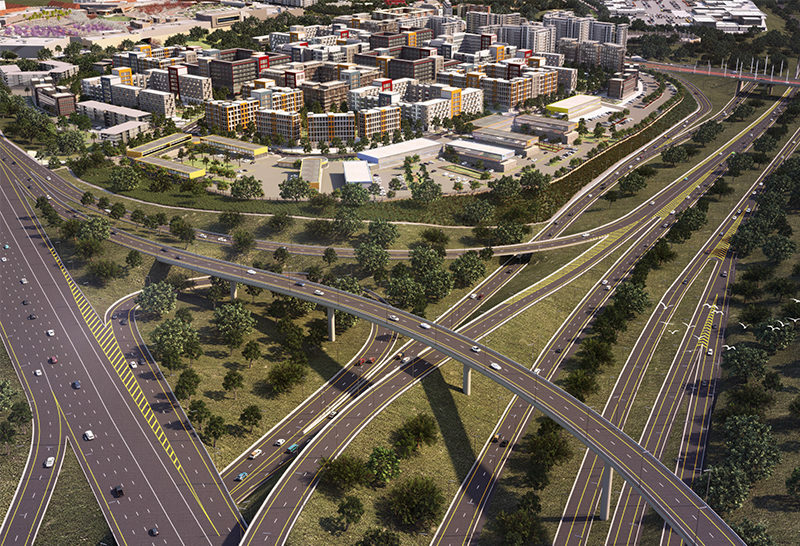 The roadworks include the construction of a bridge over the N2 motorway to connect Cornubia with the Umhlanga Ridge Town Centre, as well as upgrading the M41/Flanders Drive interchange and the construction of the first portion of the Dube East arterial which will run parallel to the N2 and is identified as the strategic access requirement. The N2 bridge will also contribute to the C9 corridor that feeds the City of Durban’s Integrated Rapid Public Transport Network, also known as the Go!Durban service. 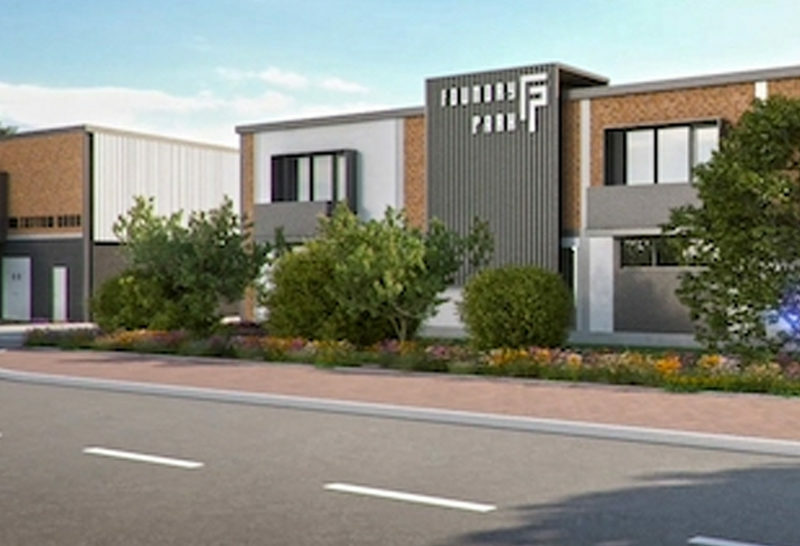 C9 refers to the Gateway route which runs from Gateway, through Cornubia and Phoenix to Bridge City, another Tongaat Hulett Developments project undertaken in partnership with eThekwini Municipality. 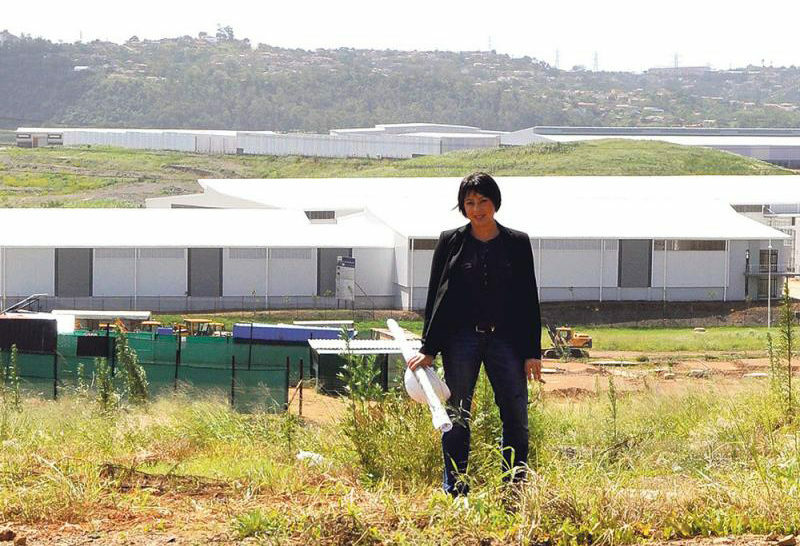 This transport network already plays an important role in improving access to Durban and Pinetown from areas north of the city, with many commuters residing in Inanda, Ntuzuma and KwaMashu. All the pieces of infrastructure currently under construction are due for completion by the end of August 2017. “We aim to minimise disruptions to traffic during this construction phase, with certain road closures for defined periods to be expected. We will keep residents and commuters informed of any such closures to reduce inconvenience,” Matshini says.